Smooth away small imperfections with Faces Ultime Pro Blend Finity Stick easy to use smoothing concealer. Ideal to deliver a natural effect with a perfect blended matte finish. The extra creamy and melting texture makes its application sensorial. It features a special soft focus powder to deliver an optical blurring effect along with an elegant silky touch. This special blend of pearls provides both an optical blurring effect and a lifting/soft sculpting effect to the face. Its highly blendable formula provides medium to high coverage and a soft velvety finish. The unique stick format makes it convenient to carry along and apply anywhere, anytime. 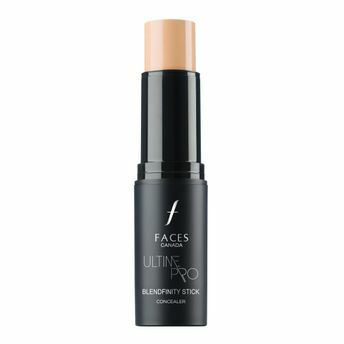 Alternatively, you can also find many more products from the Faces Ultime Pro Blend Finity Stick Concealer range.